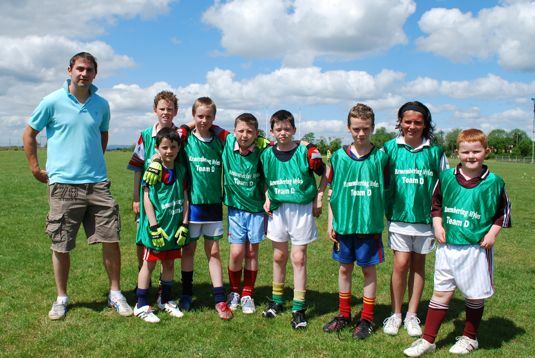 Annaduff Football pitch basked in glorious sunshine with temperatures of over 20 degrees for this years Myles McDonagh tournament. 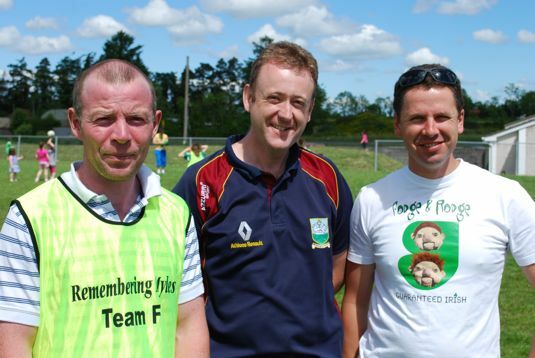 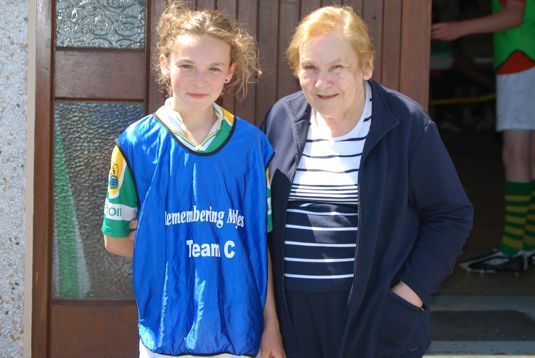 This annual event which remembers Myles, who wore the number 4 jersey with such pride, involved the participation of teams from Annaduff and Gortletragh of Leitrim with Menlough and Monivea from Galway. 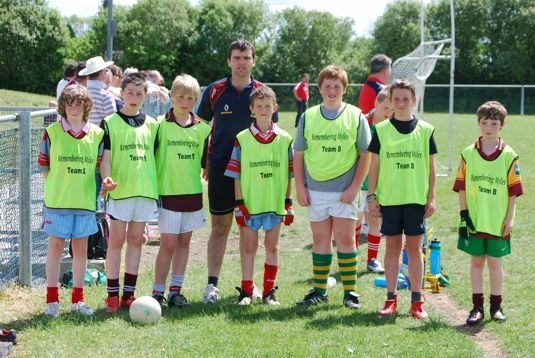 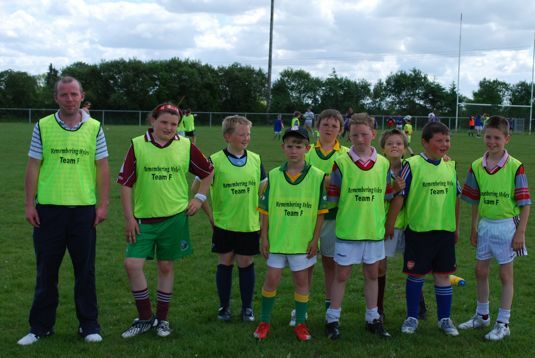 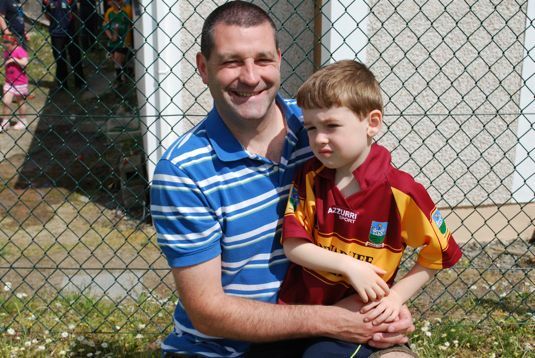 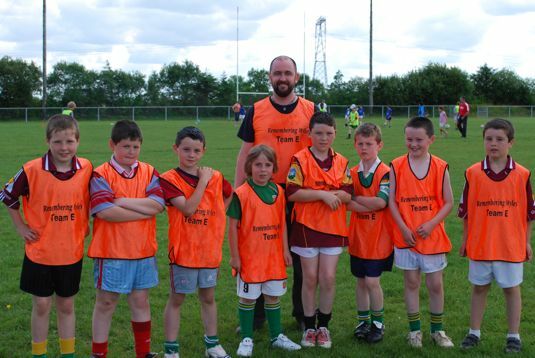 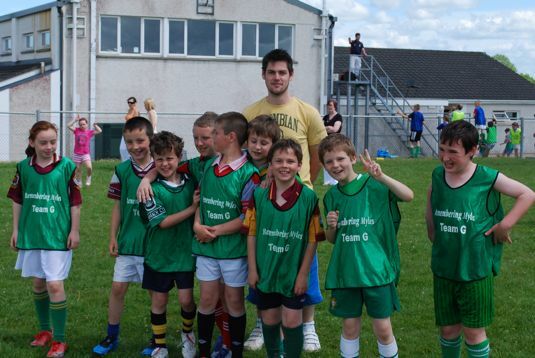 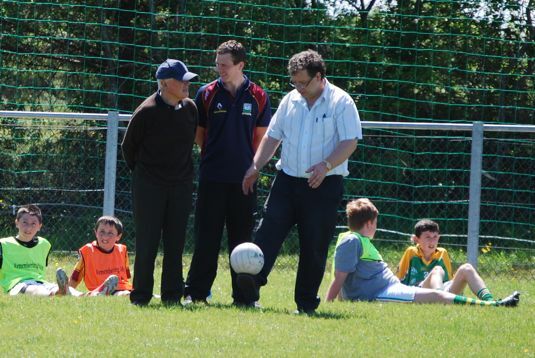 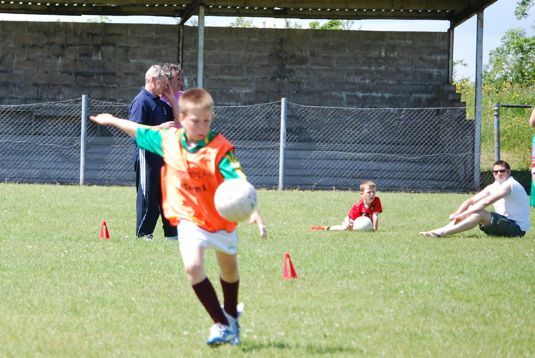 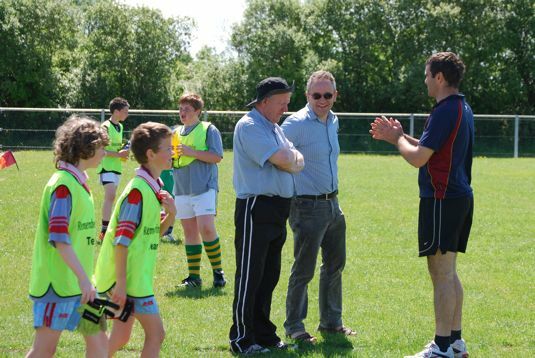 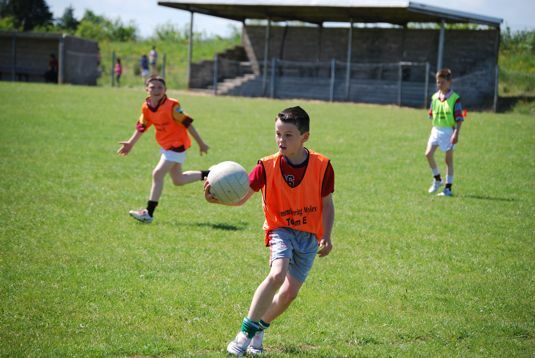 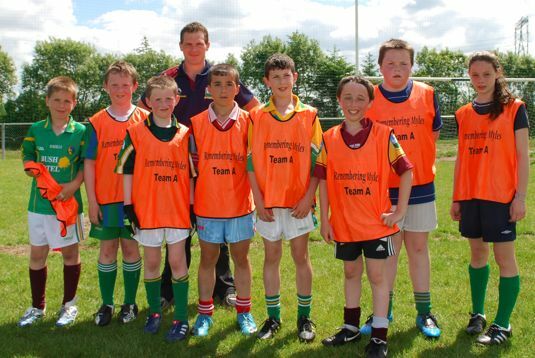 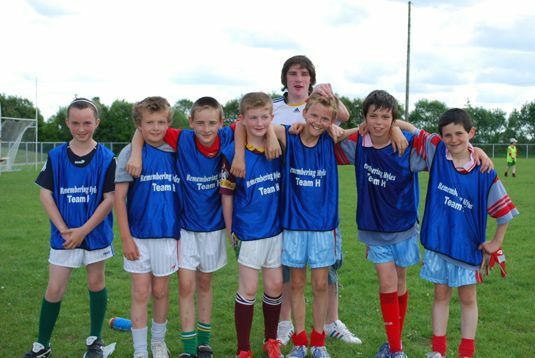 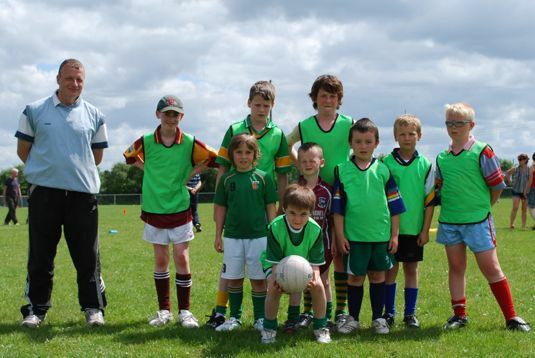 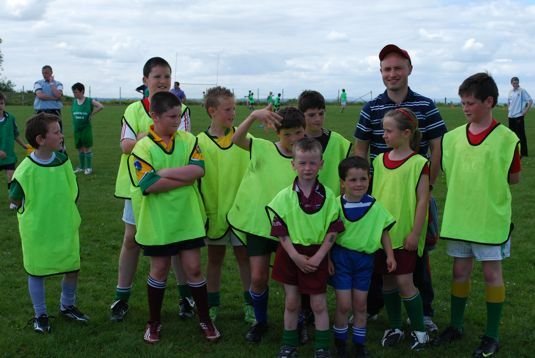 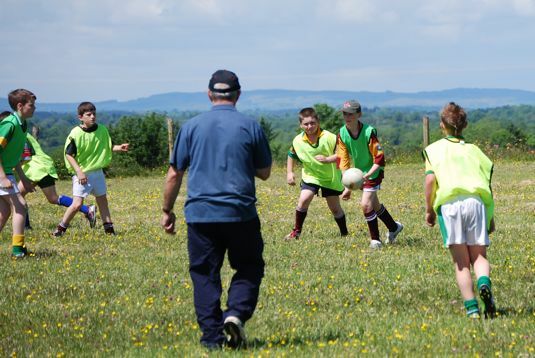 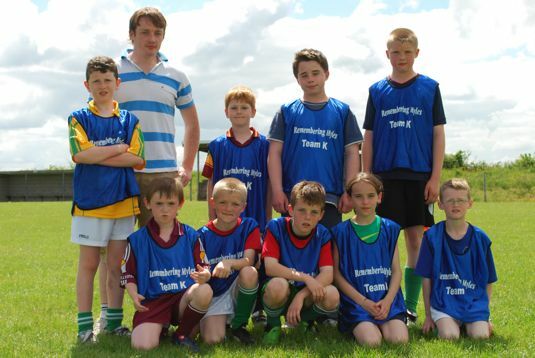 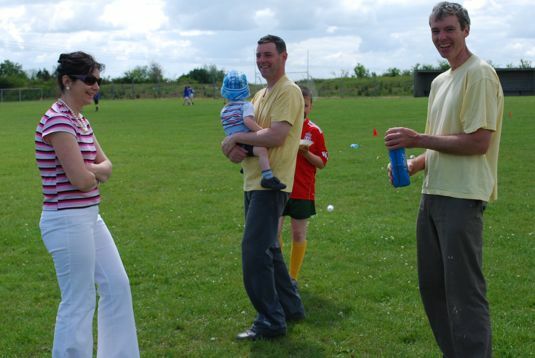 In total, 120 children took to the field encouraged by their mentors from the Annaduff senior team and supported from the sidelines by parents, grandparents, aunts uncles and friends. 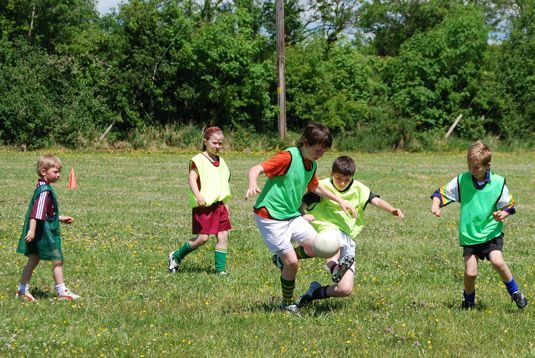 The format on the day saw the young players divided into teams of nine with each team playing three matches of ten minutes a half. 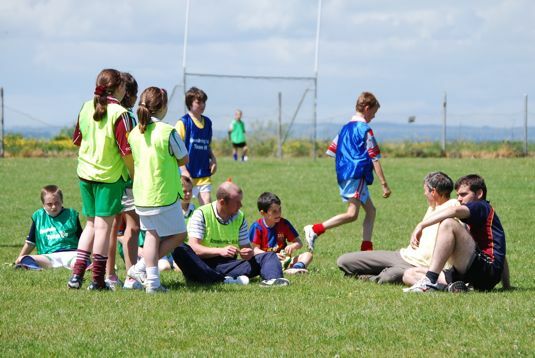 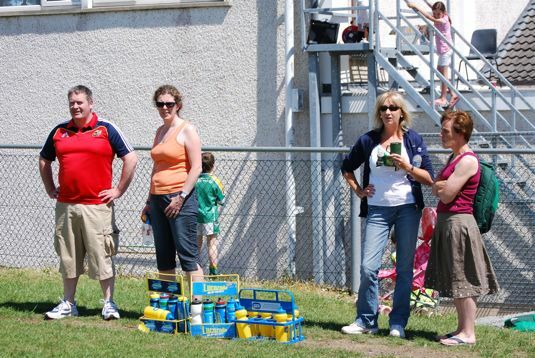 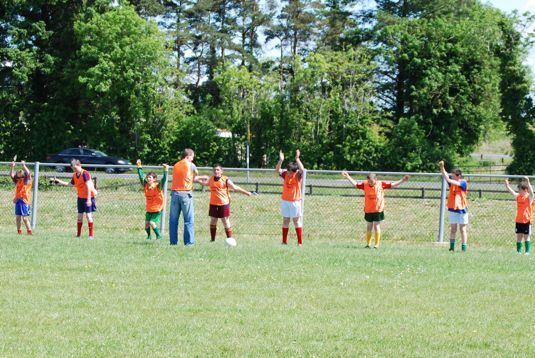 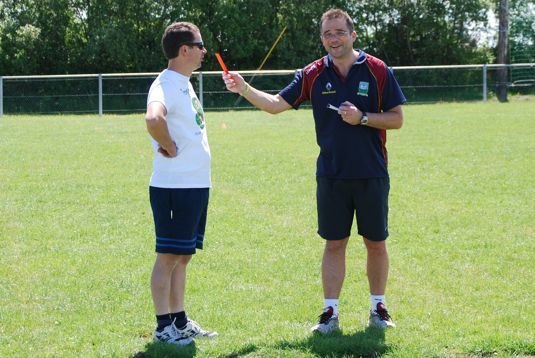 At any one time, six teams were on the fields and six teams taking a well earned break from the heat. 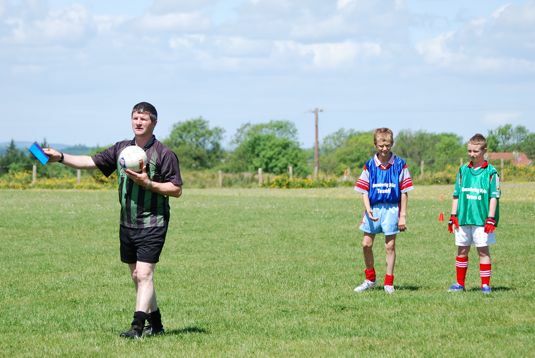 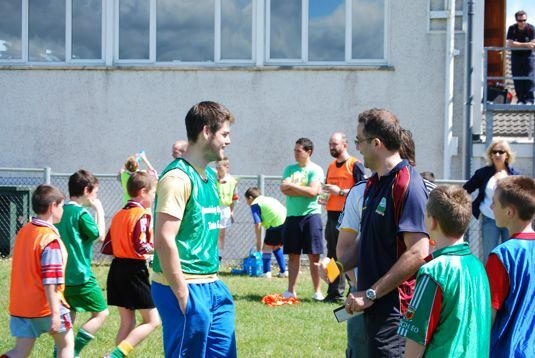 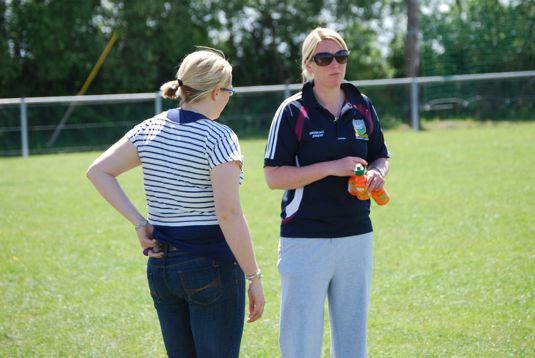 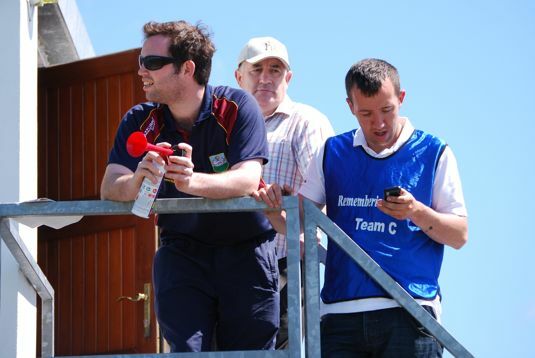 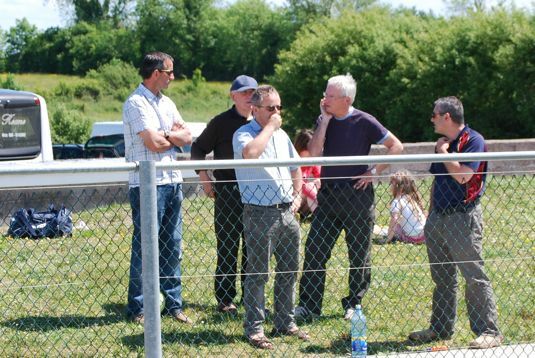 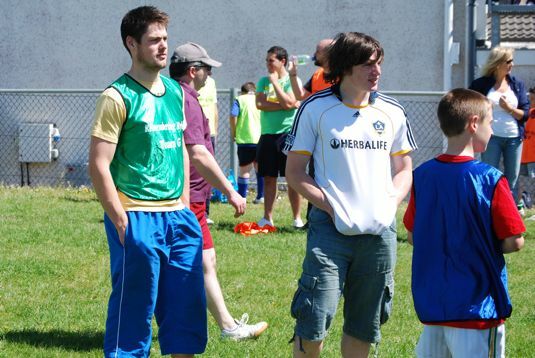 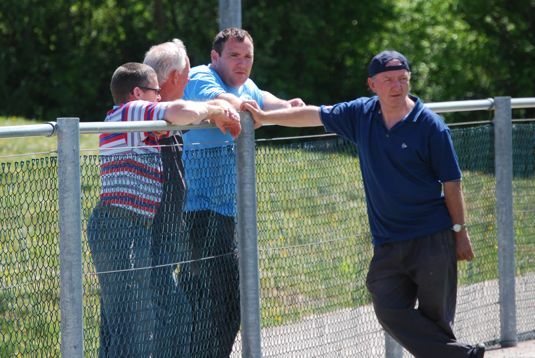 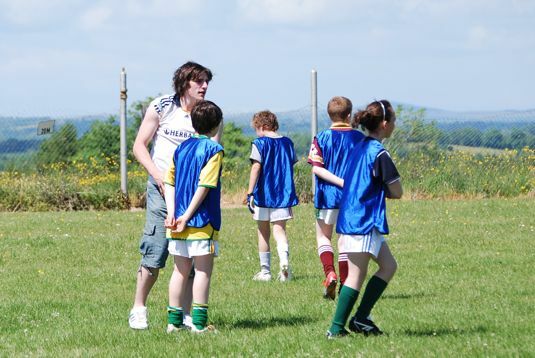 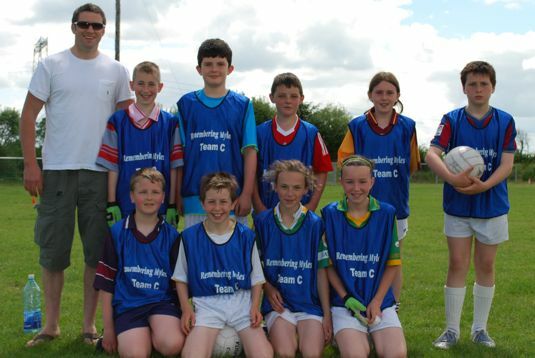 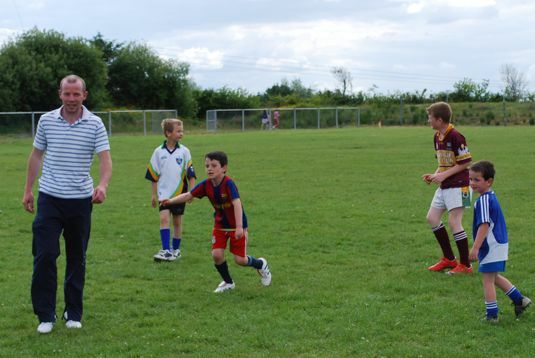 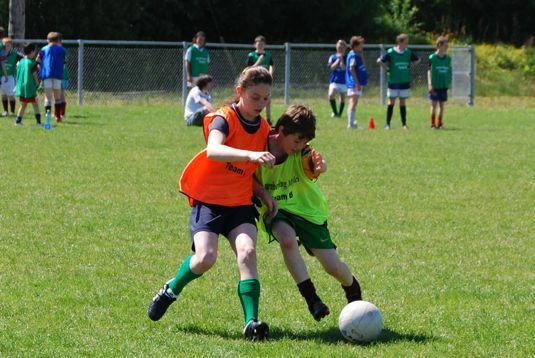 As the factor 50 was applied on the sidelines, the young footballers put on an impressive display of stylish football played with utmost sportsmanship followed by refreshments in the Annaduff Clubhouse. 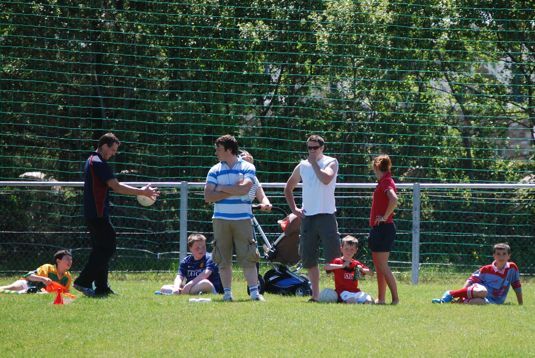 The day was a great success and we are all already looking forward to next years outing.